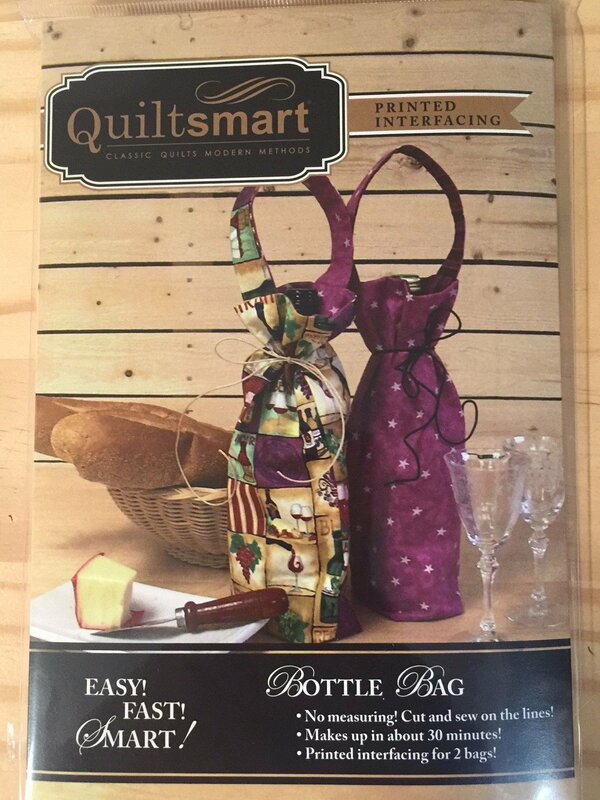 A great bag to pop a bottle of wine in for a picnic or the perfect hostess gift! METHOD: "Fuse & Sew". Easy construction, very quick, very fun! Bag is approximately 7" x 15". FIRST TIME USERS - Get the "Pack" first which includes instructions, interfacing, and cording for 2 bags! Additional panels are available separately for more bags. Comes in a 6" x 9" pack with interfacing, instructions, and cording to make 2 bags. NOTE: One folded panel shown to the left. Full panel can be seen on the cover back. Click images and use the side arrow keys to scroll through them.